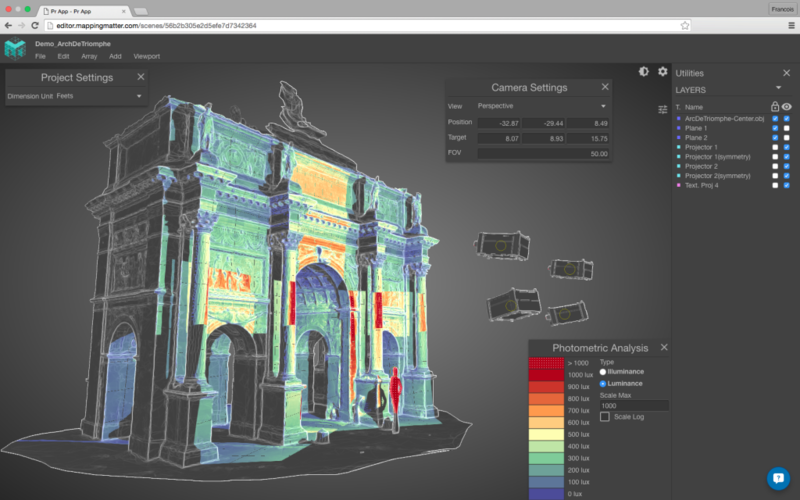 A real-time 3D simulator for Video Mapping, Mapping Mater is here for you, a new online tool for prototyping, evaluating, calculating and creating photometric studies and documentation for clients. 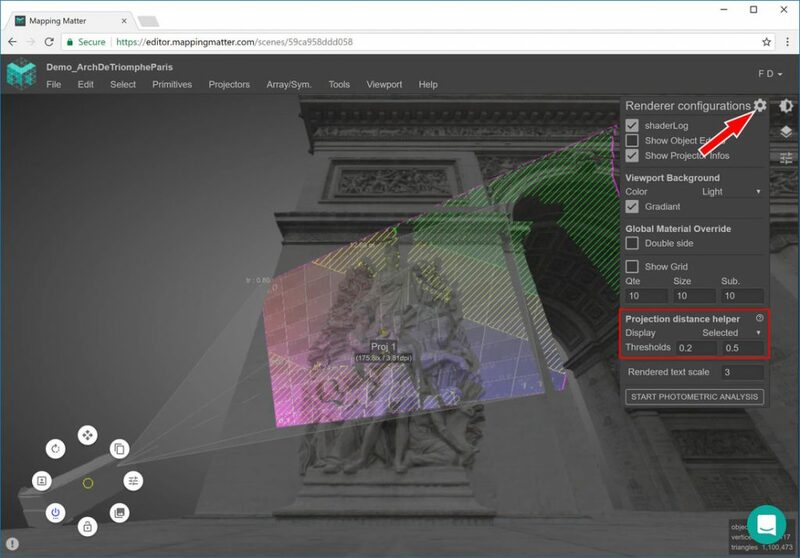 Mapping Matter is a cloud platform, so no installation, from a Chrome browser. 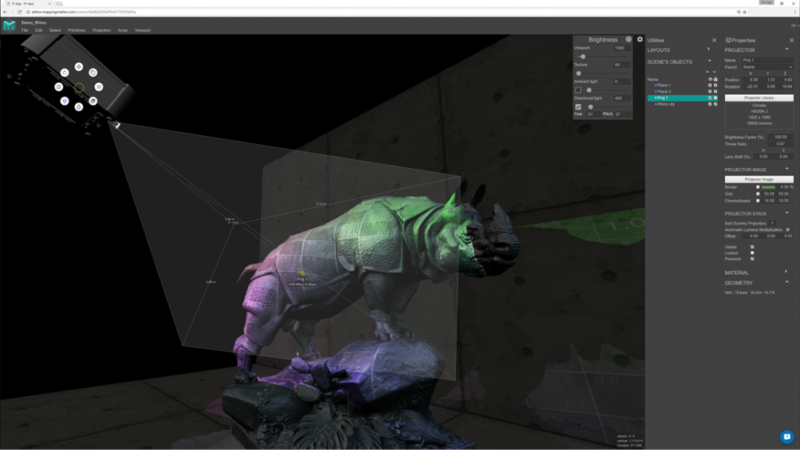 It allows you to see your projections interact with objects, decor in a simple 3D environment, import your 3D meshes and high-resolution textures, and create advanced 3D simulations without having to know the big gasworks of complex 3D software. Mapping Matter quickly realizes a projection study in real time and validates the projection brightness, the density of pixels of the center by sliding the beam of projection in your screen. It then generates PDF documentation for your Video Mapping with a list of projector specifications. Starts at $ 39 a month.